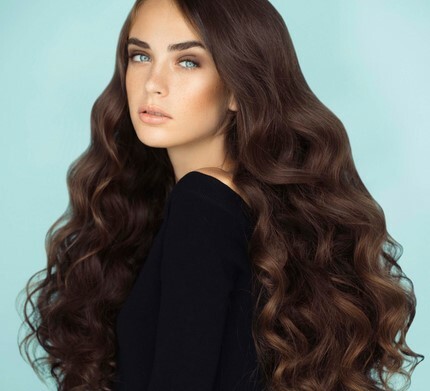 How to Get Long & Thick Hair Naturally: Everyone wants to look beautiful and hairs are an important part of the body to enhance the overall beauty of a person. 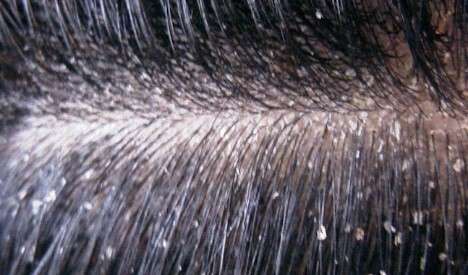 Hair loss, damage, split ends, and dandruff is very common hair problems nowadays. It may happen because of the increased amount of pollution in the environment, improper eating habits, and a stressful lifestyle. There are many hair products and chemical which can be held responsible for hair fall and lack of hair volume. But there are effective natural home remedies to get long and Thicker Hair quickly without any side effect. Thinning hair and losing hair can be a normal part of aging or it may happen due to other causes. Age also makes hair become finer but there reasons which can make your hair thinner. Chemotherapy treatments can cause hair loss and thin hair and radiotherapy for cancer can make hair fall out on the part of the body where the radiation is directed. You may be surprised to hear that some hairs tyles can cause your hair loss and thin hair, such as ponytails, cornrows, or winding hair around heater rollers. This is known as traction alopecia. Thyroid problems can cause hair to thin or befall. Hormone changes can also affect the hair badly and some temporary hair loss can happen after pregnancy. Other factors causing thinning hair are excessive physical or emotional stress, nutritional deficiencies, pollution, allergies, use of wrong hair care products, and heredity. Try below natural home remedy to make hair grow faster and thicker. One of the oldest natural remedy used for treating all kind of hair problem. Henna leaves make your hair softer, thicker, stronger and less prone to breakage. It also nourishes your hair and gives them natural color. Take the henna powder and mix with water to make a thick paste. You can also use tea water instead of plain water. Keep this paste for overnight and then add one egg and 2 teaspoons of lemon juice. Apply this paste on your head and let dry completely. Wash your head with water and shampoo, do this remedy once or twice in a week. Another way to use henna to get thick and long hair. Take a handful of fresh henna leaves and grind them with a little water to make a fine paste. Keep it as it is for two hours and then apply it to your head. Don’t forget to cover your hair with a shower cap. After 2-3 hours, wash your hair thoroughly with water and shampoo your hair. Note: While applying the henna paste make sure you wear the gloves to avoid staining. Licorice is another wonderful remedy to increase hair volume. It helps to moisturize your scalp and nourish hair. This home remedy is a good way to control hair fall and make them strong from roots. Take a pinch of saffron, 2 teaspoons of licorice, and 4 teaspoons of milk and mix them well to make a fine paste. Apply this paste on your bald patches or where hair is thinning. Keep it for overnight and wash it off in the morning. Another effective way to get thicker and longer hair. Essential oil helps to expand blood vessels and increase blood circulation. Jojoba oil has hydrating and moisturizing properties which help in moisturizing follicles of the hair. It also helps to damaged hair. To make this home remedy you need 1 teaspoon of grapeseed oil, ½ teaspoon of jojoba oil, 3 drops of rosemary oil, 3 drops of lavender oil, 2 drops of atlas cedarwood oil, and 2 drops of thyme oil. Mix all these essential oil well and massage with this oil on the scalp for 2-3 minutes. Leave it for overnight and next morning washes your head with plain water. Flaxseed contains healthy protein and omega 3 fatty acids which make it a very effective remedy to increase hair density. To improve our hair growth you need ¼ cup of flaxseed and soak them in water for overnight. In the morning boil flaxseed in 2 cups of water till it thickened to form a consistency of foamy jelly. Then strain this mixture and add few drops of any essential oil. Let it cool down and apply this paste on your head. Do this remedy 2 times in a week. The egg is another useful remedy for hair growth. It contains protein which helps to make hair stronger and thicker. You need one or two eggs depending on your hair length. Apply raw egg on your hair and leave it for half an hour. Then wash your hair with lukewarm water and shampoo. Use this remedy twice in a week. You can also make another remedy from the egg. Take egg yolk, one tablespoon of hair oil of your choice and two tablespoons of water. Mix them well and massage on your scalp thoroughly. Do this remedy once in a week. Indian gooseberry is a very effective home remedy for hair fall and growth, it contains antioxidant, antibacterial and exfoliating properties which help to make hair stronger and thicker. Take one tablespoon of Indian gooseberry or amla powder and mix with 2 teaspoons of coconut oil. Heat this mixture until boiling and strain the oil. Apply this mixture on your head before going to bed. In the morning wash your hair with water and shampoo. Try this remedy once in a week. You can also take ¼ cup of warm water and add ½ cup of Indian gooseberry powder. Leave it for 10 minutes and apply this paste on your head. Keep this paste on your head for 10 -15 minutes. Wash your hair with plain water and do not shampoo your hair for 4-5 hours. Alternatively, you can also consume Indian gooseberry fruit with your food. This is one of the simple and easiest ways to get thick hair. Castor oil has a high viscosity which helps protects against hair fall. It is also high in vitamin E and fatty acids, which promote hair growth faster. Take an equal amount of castor oil and coconut oil. Mix them well and heat the mixture. Apply this mixture on your head. Massage gently and comb your hair to distribute the oil throughout your hair. You should cover your hair with a towel moistened with warm water. Leave it on for one hour and then wash your hair with shampoo. You can use castor oil alone but it tends to be too thick. Try this remedy once in a week to get thick hair. You can massage your hair with olive oil to make hair root strong and grow faster. Consuming castor oil helps to make soft skin and hair. Take lukewarm olive oil and massage on your head. Leave it for overnight and wash your hair in the morning with shampoo. You can also add some honey to olive oil and massage on your head. Try this remedy once or twice in a week for faster hair growth. Another wonderful and proven remedy for thicker hair. Avocado contains vitamin E which help to make hair stronger and smoother. You need an avocado and mash it then mix it with olive oil. Massage this mixture on your head for 5 minutes. Leave it on for about half an hour before washing it with shampoo. You can also add a banana for a better result. Aloe vera has moisturizing properties which help to make hair root strong and hair thicker. It also helps to maintain pH level of the head scalp. Take two fresh aloe vera or aloe vera gel and massage your scalp thoroughly. Leave it for 30 minutes and wash your hair with lukewarm water. Try this remedy twice in a week to get thicker hair. You can also take one tablespoon of aloe vera juice daily on an empty stomach to make hair grow faster. Follow below tips for fast hair growth and to make thicker. Balanced Diet- The best way to make your hair thicker and long is by maintaining a balanced diet. Make healthy diet habits with necessary minerals and vitamins such as iron, Vitamins C, B, copper, and zinc. Another wonderful tip to make hair thick is conditioning your hair regularly. Everybody wants a head full of healthy, thick hairs which can improve the beauty and personality of any man or woman. However, nowadays it seems only like a far-fetched dream. The amount of pollution in the environment makes your hair weak. Natural homemade remedies are a simple way to get thicker hair with wasting big money on chemicals. Please give your feedback and let us know how you feel about our natural remedies. Above remedies and tips are the best way to get long and thick hair.